Following 2011’s excellent ‘Ritual Union’ album and the single “Sunshine”, one of the standout tracks of 2012, expectation has been high for Little Dragon‘s fourth studio album, ‘Nabuma Rubberband’. The Swedish band have gained a reputation for combining quirky, often ambiguous, lyrics with innovative uptempo electro backing, and can boast one of the finest alt-pop back catalogues. It’s fair to say that we at The Fix are big fans. It is a shame, then, that ‘Nabuma Rubberband’ comes mainly as a disappointment. Considering the band have had three years in which to develop new material (the same time, incidentally, it took them to release three albums between 2009-2011), much of it presents itself as half-baked. Lacking the immediacy and urgency of earlier releases, it also fails to be a highly polished release. This is not to say that ‘Nabuma Rubberband’ is a bad album per se, and could still stand up as one of the best electro/indie albums of the year. “Klapp Klapp” contains a genuinely memorable bass synth track, and “Paris” is a piece of faux-80s memorabilia that could easily fill dancefloors in alternative clubs. The issue with the album is that it fails to capture the imagination in the same way that previous releases have, and is mostly unmemorable. It is also a much more sombre affair – where once the synth backing would have lifted the tempo and mood of a track, it now adds a foggy atmosphere. 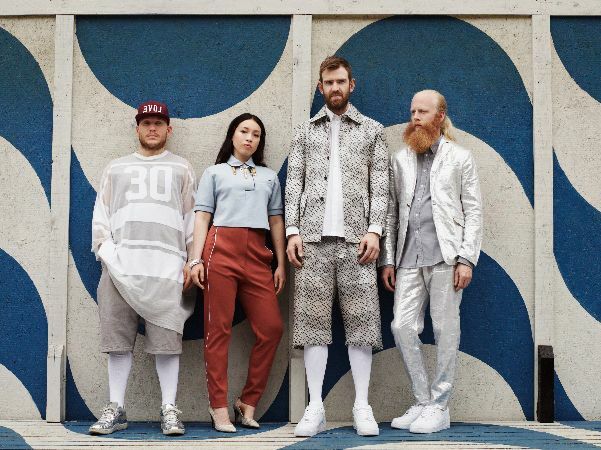 Despite the limitations of ‘Nabuma Rubberband’ – and they are only limitations in relation to the band’s own excellent back catalogue – Little Dragon remain the go-to act for those who like their pop a little more imaginitive and quirky. They are also an exceedingly fun band to see live, and they will be playing a host of dates around the UK in the near future, including Glastonbury and Bristol O2 Academy in November. ‘Nabuma Rubberband’ is released on Because Music on 12th May. Tagged album, little dragon, music, nabuma rubberband. Bookmark the permalink.